Boza on Is this card good enough? The problem is that this requires 3 cards, 7 mana (you have to pay GG to not sacrifice it every turn) and it can attack earlist on turn 5 without ramp. 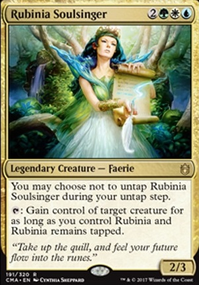 And even if you deal with the lack of evasion problem, the "vulnerable to most removal" still remains. Green really offers little to the deal of blinking - Thragtusk , Mystic Snake and Eternal Witness are your best options, but there are much better ones in UW and black offers a few as well too. ShutUpMokuba I did do this one? abby315 The whole point was for people to disagree... otherwise, I wouldn't have asked for thoughts or posted this? 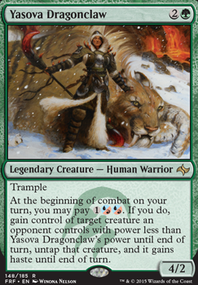 Also, there are many ways to use C-Rift, it is a versatile card, however, using it on endsteps as you mentioned doesn't mean you can't get attacked for a turn cycle (haste), it doesn't even necessarily give you resistance to permanent based hate. Aven Mindcensor , Notion Thief , Containment Priest , Cast Out , Alms Collector , Venser, Shaper Savant , Mystic Snake , Frilled Mystic , Seal Away , and Stasis Snare are flash hate permanents I could name off of the top of my head. griffstick Sorry about that, you could use the point I made at the end if you want more answers to it. I hope that helps! enpc I think at that point in a competitive game, Winds of Rebuke for decks like Kess, Blink of an Eye or Into the Roil are better most of the time anyway, and while C-Rift is another option, all of them are equal enough that I am sure you can see why it isn't a dominant spell in that metagame. For casual, I said it clearly was really strong, no doubt. Just that when you want to spend 20 bucks in a casual meta, there are better options. That's the best kind of brainstorming, for sure! I'm not sure about Boomerang either ... it's very good with Shocklands, but I'm not sure the tempo hit on a normal land is big enough to justify it. Thanks tons for the other bounce options, but if I find it's too weak, I'll likely move to actual counters (e.g., a 2-2 split of Negate and Mana Leak ). I never realized we could Redirect an opponent's Cryptic Command ; that's spectacular! I'll keep it in mind for sure! 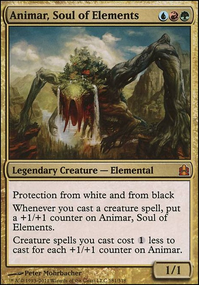 I'd looked at Cloudthresher , but I don't think the effect is worth the mana cost, especially since I expect to periodically have Nimble Obstructionist and maybe Vendilion Clique (currently in the maybeboard) in the air. 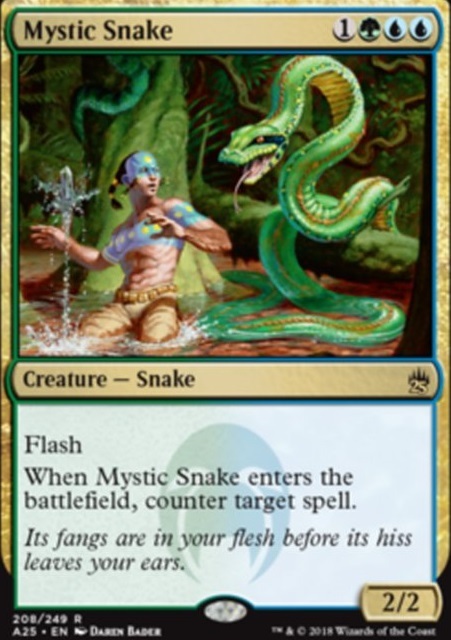 I like Voidmage Husher but I think Mystic Snake (currently in the maybeboard) is probably better as a 4-mana Value Bear. Oh yeah, Psionic Blast and Hornet Sting ... i'll definitely keep them in mind if I find I need some burn! Thanks so much for all the inputs! I'm not sure about adding Black (not that it's a bad idea, just that I don't currently have any of the manabase to support it, so it'd be a big outlay for essentially just an experiment). But Shadow of Doubt could be great for sure. Dream Eater is extremely interesting ... I'll give it a hard look. Not only have I not tried Faerie Artisans , I didn't know it existed until you posted it, haha. 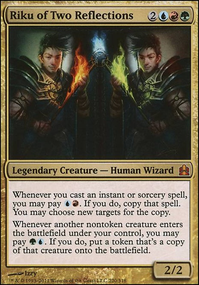 Certainly a fun and possibly political card, but I personally prefer having control over what I'm cloning versus relying on what my opponents cast. I like Frilled Mystic a lot. Mystic Snake is DEN's BFF so having some snake redundancy in here wouldn't hurt, that's a good call. I am running a little light for card draw. That said, I have so much recursion & tutor in here that it's usually not a problem if I'm needing to replenish my mit. Mulldrifter is a house here so do I like the idea of having a second option with Cloudblazer . I ran PSZ for a while but ended up swapping her out due to her casting cost + reliance on my board state. Some good ideas here Patryn - I'm definitely thinking about slotting in Frilled Mystic + Cloudblazer , cheers! 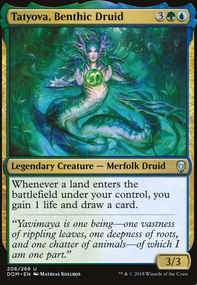 Here is a list of 4 drops that could work with this deck Mystic Snake Plasm Capture Skyrider Patrol Zegana, Utopian Speaker These are some good one that all fall into you price restriction.